Formulary consists of a diverse product range for the candle market to produce Container, Pillar, Column, Block, Votive, and Specialty Candles. Core feedstocks are available in traditional wax-based products, naturally based products and a combination of both traditional and natural based products. Our products are ready for use. If required, color and fragrance may be incorporated. No additional wax or waxy based additives are required. 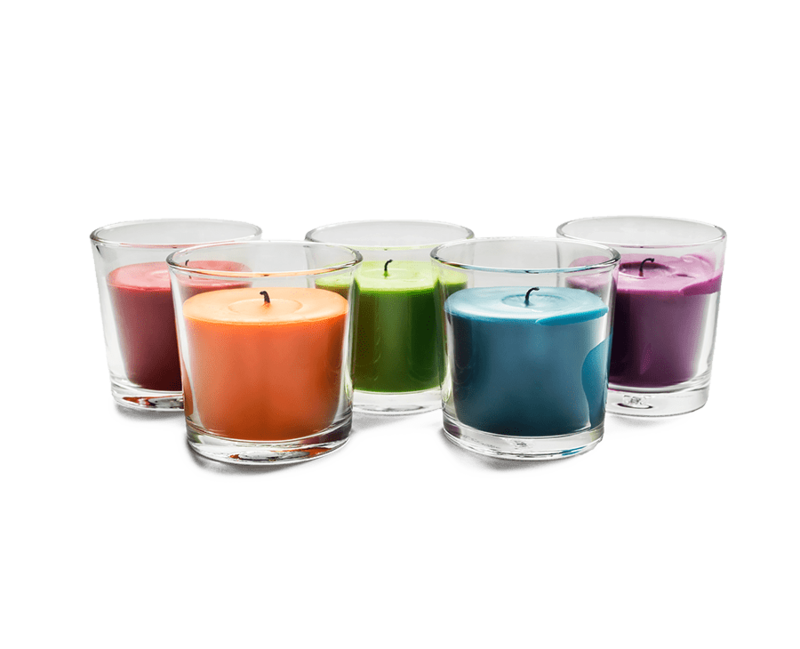 925 Mottling is recommended for container filled glass candles that imparts a mottled outer texture. No additional wax or waxy additives other than dye and fragrance are required. This product is a “one pour” container candle wax with excellent sidewall adhesion. SDW 2006-045 does not require a second pour. The use of a re-heat station for the top surface is recommended for this highly compounded hybrid product which consists of natural wax and petroleum wax. 422 is a Fully Refined Paraffin Wax with a melting point of 142°F (61°C). 407 is a low melt wax recommended for votive candles. This product has a melting point of 128°F (53°C). 422 has a melting point of 142 °F (61°C) and is recommended for votive candles requiring higher heat resistance than the lower melting Votive Wax 407.